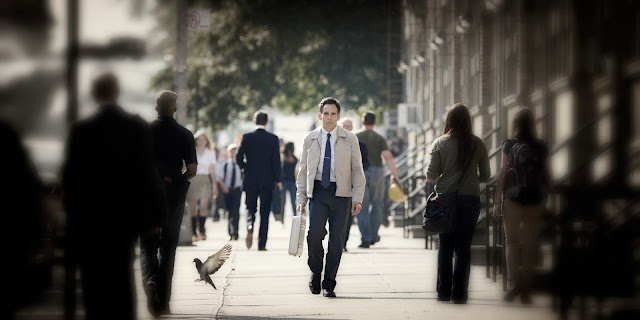 Home / MOVIE TRAILERS AND INFO / “The Secret Life of Walter Mitty” Movie Trailer Released! “The Secret Life of Walter Mitty” Movie Trailer Released! At first, the movie trailer teaser for “The Secret Life of Walter Mitty” is composed of clips from the movie (you may view it here). You may not understand the trailer before because only a musical score and some vague scenes are what you can see. But in this recently released official movie trailer of “The Secret Life of Walter Mitty” from 20th Century Fox, it was revealed that Ben Stiller's character Walter Mitty suffers (or perhaps experiences) zoned-out dilemma or temporary block out from the real world to experience hallucinations of dreaming while widely awake. In this movie trailer, I think, you will now love Walter Mitty more as some of us also experience the same dilemma. Ben Stiller’s Walter Mitty character starts to live in the latest trailer reveal of “The Secret Life of Walter Mitty,” a modern-day dreamer photo editor whose dreams turned into reality when he realized that he is about to lose his job. Taking on the impossible and unimaginable journey of his life, Mitty steps out of his own private realm to search for a famous photographer’s (Sean Penn) missing negative. “The Secret Life of Walter Mitty” offered a rare chance for Ben Stiller to look at a touchstone American tale afresh, from new times. Way back in high school, he first encountered Thurber’s story – a story that almost as soon as it had been published in The New Yorker began making an impact that belied its ultra-brief length. It inspired a beloved 1940s screen comedy, numerous theatre works, and sealed the phrase “he’s a Walter Mitty” into the popular lexicon, referring to anyone who throws more energy into diverting daydreams than into real life. Now, Stiller saw a chance to take Thurber’s endlessly escapist character into the full-scale complexity of our social networking, down-sizing, re-tooling times – and to push his story further, comedically, dramatically, and cinematically, bringing the full visual spectacle of modern filmmaking to the mix.